It may seem like the runt of the ZenBook 3 litter, but a laptop this special doesn’t come around too often. 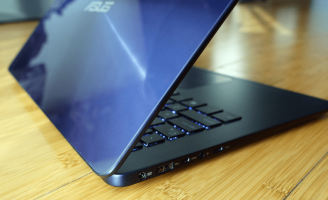 If you were to judge it based on its price, you’d probably guess that ASUS’s UX430UQ is just a slightly-less-sleek, mid-range sibling to the ZenBook 3 — but to reduce it to that would be a huge injustice. 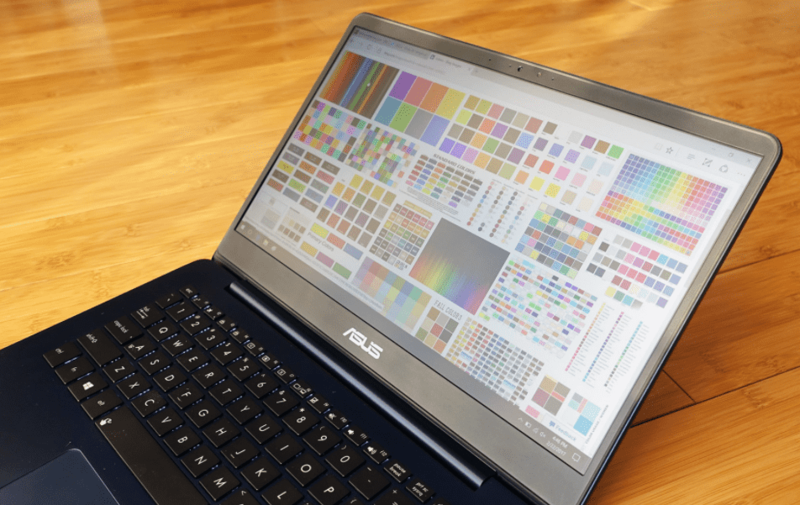 From the outside, it’s not difficult to tell that the 15.9mm-thick UX430UQ is a different range of device to the 12mm-thick ZenBook 3 devices. 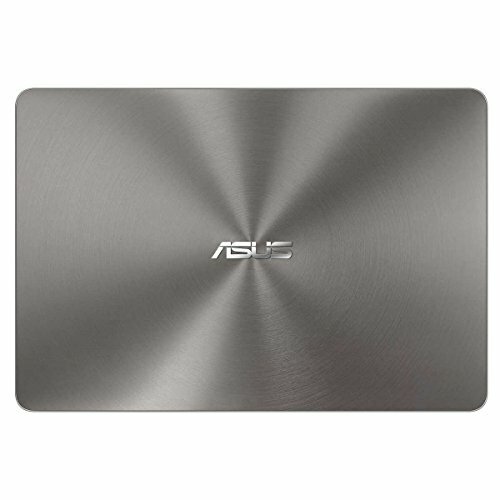 The UX430UQ does still share the premium looking concentric brushed metal finish of its pricier sibling, and the compact bezels that trim the vibrant 14-inch 1080p screen make it clear that this is a carefully crafted machine. The UX430UQ isn’t fitted with the fastest components money can buy. 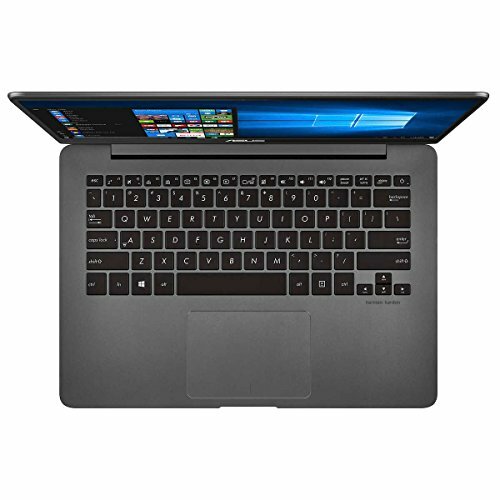 The 2.5– 3.1GHz Intel Core i5-7200U CPU costs half as much as the 2.7–3.5GHz i7-7500U CPUs powering today’s top-tier ultrabooks, for example. Yet, this cheaper CPU is not only amply powered, but often provides near-identical performance across general computing tasks. 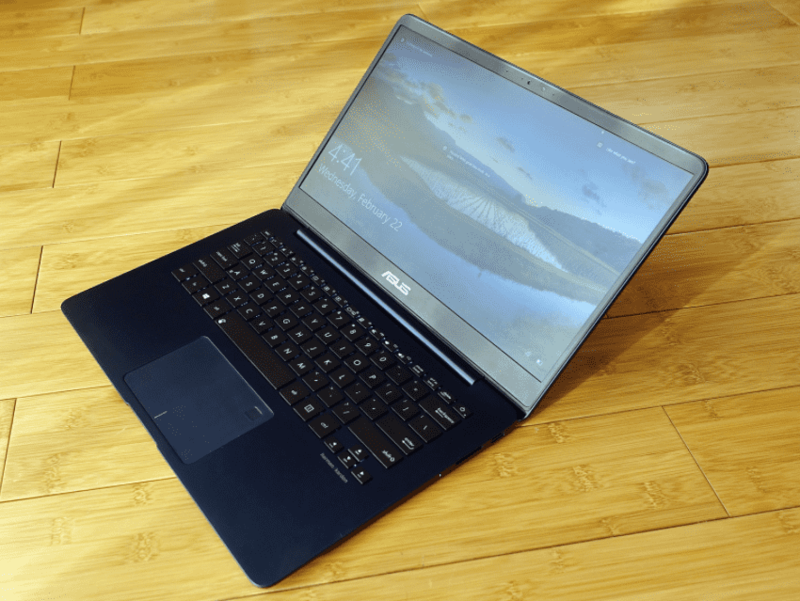 The UX430UQ kept up with and then outpaced the more-expensive ASUS ZenBook 3 and its i7-7500U CPU in PCMark 8’s Work and Home benchmarks with the former picking up scores of 4,401 and 3,474, compared to the latter’s 4,556 and 3,049. It wasn’t just ASUS’s more expensive laptop that the UX430UQ usurped, it also pipped Venom’s BlackBook 14, the early 2017 Razer Blade Stealth and Toshiba’s Portégé X20W-D in PCMark’s Home and Work. 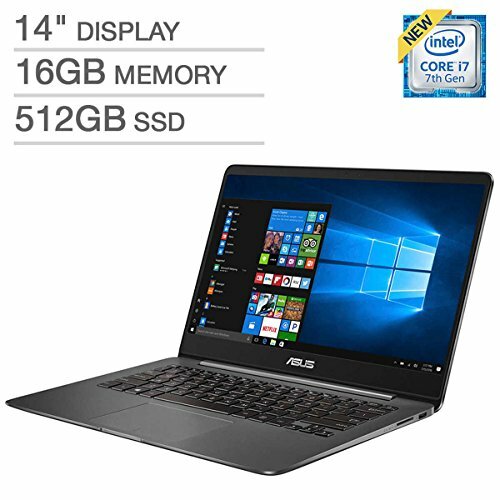 In addition to being more expensive, the last two units mentioned here have technically better CPUs and 16GB of RAM — twice as much as the UX430UQ. 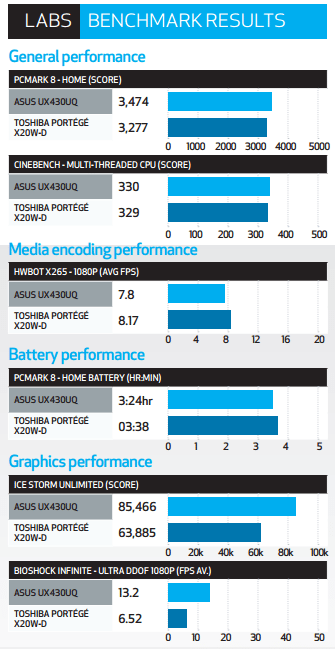 When you compare the raw processing power of each core of the UX430UQ’s CPU against laptops with Intel’s Core i7-7500U and i7-7600U, you’ll see that the latter two score higher, but when these core outputs are combined — for example,in Cinebench R15’s multi-threaded benchmark, all three of these CPUs perform almost identically. That’s likely a side-effect of the Toshiba and Razer’s thinner chassis, too, where heat can’t be as efficiently dissipated, meaning the CPUs don’t as often reach those upper boosted GHz speeds. 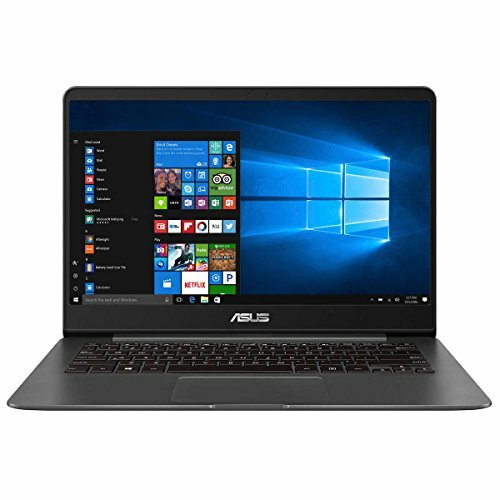 The UX430UQ also gets a performance boost thanks to its dedicated GPU. 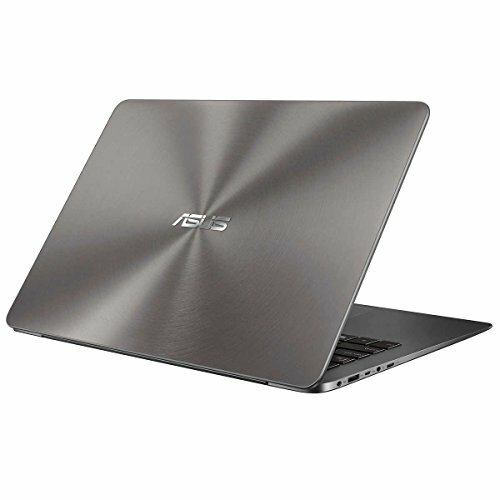 The Nvidia GeForce 940MX isn’t exactly a top-shelf GPU, but it does add modest gaming capabilities to this unique ultrabook, comparatively supercharging it for any professionals that dabble in GPU-heavy tasks. While it’s true that to play any modern titles above 30fps, you will need to dial down the resolution to 720p and set graphics to Low, we haven’t seen anything like this in an ultrabook since Microsoft’s similarly specced Surface Book. It would have been nice to get a bigger and faster SSD (say, a 512GB PCIe model rather than the 256GB SATA 6Gbps), but when the more expensive competition don’t even really offer this, it’s hardly a fault. There’s also always a tradeoff between power and battery life, and scraping in at 3 hours and 24 minutes on PCMark 8’s battery benchmark means it’s a bit behind the best in the category, and will struggle to make a full day’s usage. Other than that however, there’s little to complain about. 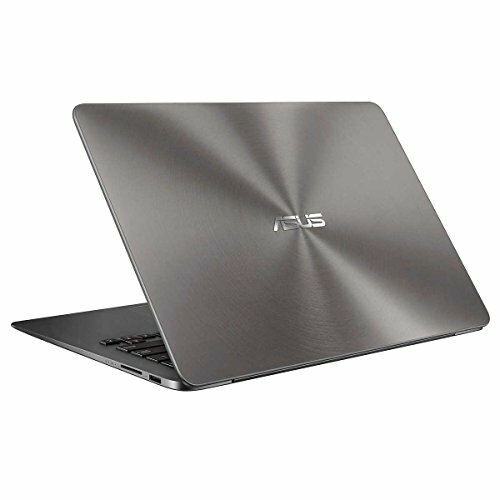 It’s an exceptionally well-balanced ultrabook.